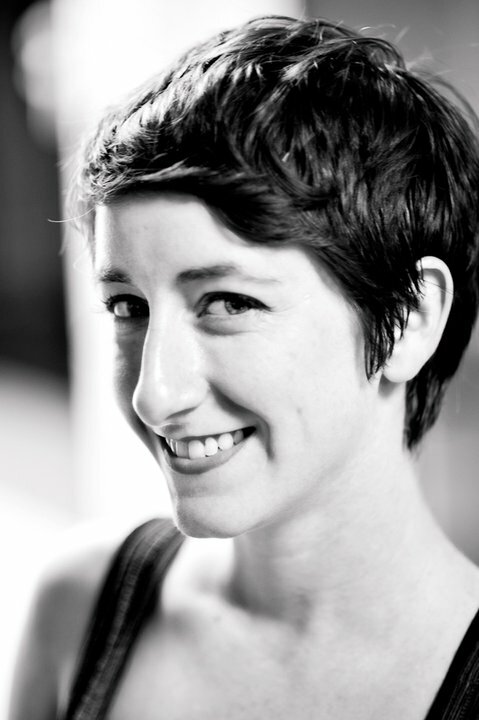 Sarah Stierch is a leader in the drive to bring more women editors to Wikipedia. 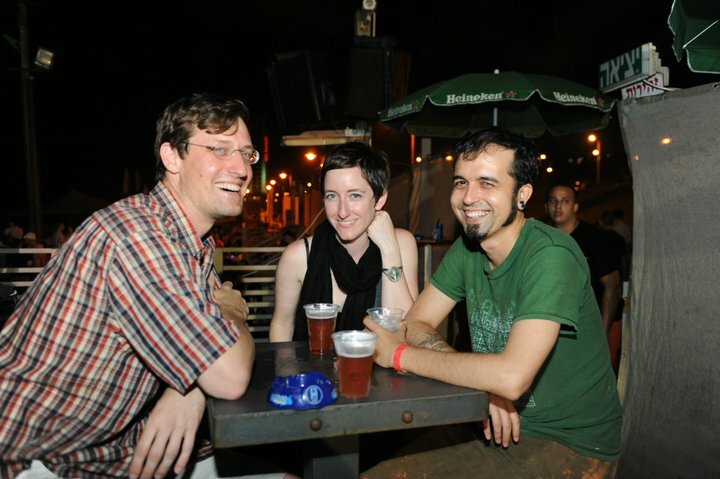 Sarah first started editing Wikipedia in 2004, and became Wikipedian in residence for the Smithsonian in 2011. Most recently, the Wikimedia Foundation awarded Sarah a Wikimedia Community Fellowship to continue her work encouraging womens participation in Wikimedia projects. Sarah published an article in the Huffington Post on SOPA and its implications for women’s voices on Wikipedia. Sarah also serves as an Ada Initiative advisor. Sarah lives in Washington, DC and is working towards her masters degree in museum studies at George Washington University. I was born and raised in Indianapolis, Indiana. I often talk about how I’m totally unable to code or do anything too techy, but a little known secret about me is that by the age of 7 I could write BASIC and at the age of 10 I had my first PC in my room. I was hacking Prodigy and AOL accounts with some local BBSers, too. Despite having dreams of being a hacker, I was terrible at math, and even though I was able to take apart a computer and put it back together again without a problem by age 14, I had no tech mentors. I sought out inspiration in other areas – art and music. I became involved in the punk rock scene, helped start a Riot Grrrl chapter in town, and wrote zines and other things angry confused teenage girls do. As odd things happen in life, I became a make-up artist for a major cosmetics company. For almost ten years I worked in the fashion industry and then decided that I needed a life change. 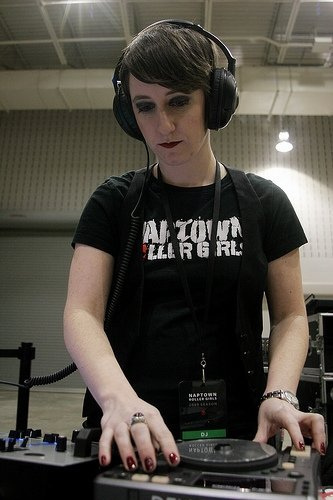 I was also DJing and putting on concerts in the Midwest and living like a rock star…well, as much as a rock star you can be in Indianapolis. I was also tired of the shallow fashion industry, and the experiences and sacrifices that people would make for it. It wasn’t a healthy environment for me, and I was really unhappy. I went back to college, and ended up getting my undergrad focusing on Native American studies and a minor in museum studies. I decided to move forward and get my master’s in Museum Studies, which I’m wrapping up right now, in Washington, DC. I’m a citizen art historian – I love fine art and culture, and I enjoy reading, writing and researching minority and women artists and related subject matter. I’m also interested in the representation of people in popular culture – specifically Native Americans and women. Do you remember the first time you used Wikipedia? The first time you edited Wikipedia? I don’t remember the first time I used it, as a reader. I just remember it being there one day. When it comes to editing, I had a car accident in 2004 and was holed up at home for a while. I started doing two things: playing World of Warcraft and editing Wikipedia. I edited anonymously as an IP and just did menial things, then I began making larger edits, working on the disambiguation of articles. At some point, I became really disinterested – mainly because I had a number of bad experiences which made me feel like crap for even attempting to contribute to content. Eventually I moved on to other things. I also edited WikiTravel for a while – I basically wrote the travel guide for Indianapolis, along with a few other folks. I still remember the first time the co-founder, a woman, of WikiTravel left a comment on my talk page saying “Great work” – I had never forgotten that day. It was the first kind word I had ever received for my Wiki contributions, and it stuck. After graduation, a previous professor of mine, Jenny Mikulay, a fellow student, Lori Phillips, and an art conservator at the Indianapolis Museum of Art, Richard McCoy, contacted me about a project they were working on about documenting public art in Wikipedia. I was testing FourSquare and Gowalla, for iPhone, and started tagging historical landmarks and public artworks through the apps, and the three took notice and I joined the project team. We ended up developing guidelines and procedures for documenting public art on Wikipedia, and proceeded to create some of the largest and highest quality lists about public artwork available anywhere. It was a very cool experience, and the media took notice. Eventually I was invited to join the GLAM (Galleries, Libraries, Archives, Museums) outreach group – a group of Wikimedians interested in working with cultural institutions. As I moved to Washington to get my masters, it made perfect sense. I became involved in the local Wikipedia community here, and the GLAM group, and started doing outreach. Through that, I became the first Wikipedian in Residence at the Smithsonian, and I’ve become an active advocate for cultural organizations and free culture. When did you start noticing the gender gap in Wikipedia? As someone involved in online communities since I was a kid; I always knew there was a gender gap online. I liked punk rock and played Dungeons and Dragons – I was sometimes the only female in the room. So when I got involved on Wikipedia, I just didn’t think about it. My user name was Missvain, and most people knew I was female (though even Missvain was called “man” or “bro” a few times!). When the study came out announcing that 13% of editors were women, I was so devastated. I never had thought about it – it’s as if I just came to expect it, and thought nothing about changing it. Then, a year later it was announced that only 9% of women were editors – the numbers were getting worse. I joined the Gender Gap mailing list which was started by Sue Gardner, and soon I was being asked to moderate it with her, and then to help moderate the WikiChix lunch at Wikimania. The gender gap became something of major concern for me, at times overshadowing my other Wiki interests (GLAM, etc). I credit the gender gap of Wikipedia with me reclaiming my feminism again – it’s not that I never left it, I just stopped channeling it, for lack of a better way of explaining it. I figured, if I was able to get major museums and cultural organizations on board with Wikipedia, perhaps I could use that energy to do the same with women. And it’s not just that women aren’t editing – but women’s history and related subject matter is underrepresented in Wikipedia. For years white men have been writing the history of the world – and that includes Wikipedia (the average editor is a white male). So I decided to make it a life mission to inspire women (and the underrepresented of all races, genders, etc.) to participate and to also improve content related to those peoples. Just as I was fascinated by the representation of peoples in my own liberal arts research, I have been able to take that to tech. It’s really been a cool and inspiring experience. Tell us about some of the projects you’ve started and worked on. I created two barnstars (awards that Wikimedians give each other for a job well done). One is the Mind the Gap Award, which is for Wikipedians who have improved coverage related to women’s subjects or outreach. 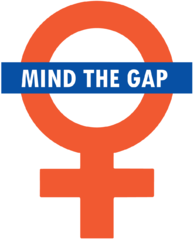 I loved the idea of minding the gap – and stumbled across this logo that was designed by the London Student Feminists. They donated it, and with fellow Wikimedians we cleaned it up and made a barnstar. Then came the Ada Lovelace award, which utilizes the wood-cut style graphic by Colin Adams drawn for the Ada Initiative, taken from the watercolor portrait of Lovelace by Alfred Edward Chalon, colored by User:Kaldari, and converted to SVG by User:Fred the Oyster. (Truly an example of Creative Commons at work!) Fellow Wikimedians came together and we created the award for Wikimedians who improve coverage relating to women in tech. I co-created an IRC chat room for gender gap on Freenode – #wikimedia-gendergap – and help moderate the Gender Gap mailing list. 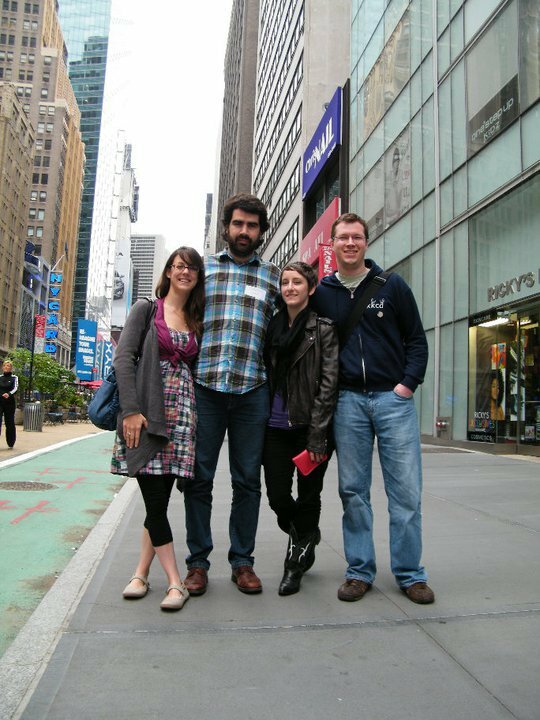 What do you plan to do as a Wikimedia Fellow? This entry was posted in Interviews, Women in open and tech and culture community news on February 13, 2012 by valerieadainitiative.